Congratulations to Rod Charles, who has received a Special Award from the Royal Historical Society of Victoria. 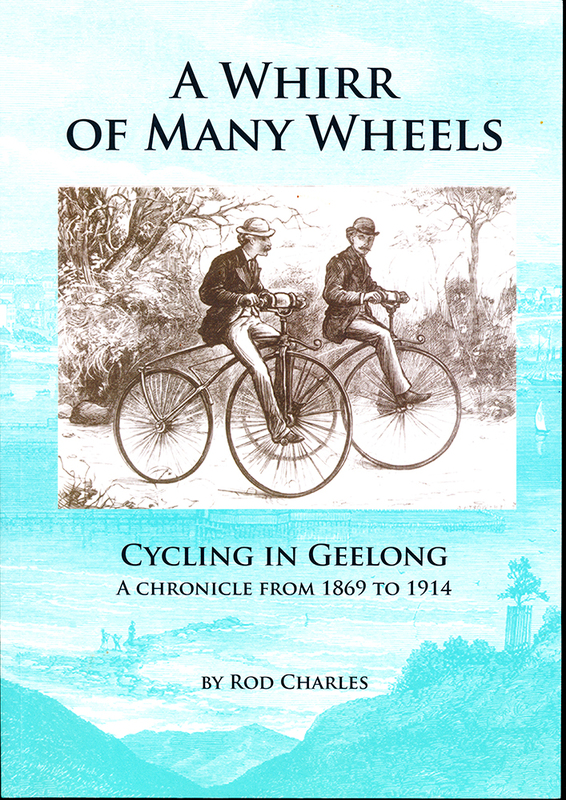 Rod’s award is in recognition of his work to produce a definitive history of cycling in the Geelong region. Rod’s extensive research over many years, culminated this year with the publication of the first volume of A Whirr of Many Wheels. Rod is a foundation member of Cycling Geelong and was awarded a Life Membership of the club in 2010 for services to the club, cycling and cycling history. Rod has led many cycling history rides for Cycling Geelong. A feature of these rides is cyclists riding historical bicycles like those featured in these photos. This entry was posted in Cycling history by hlyth2013. Bookmark the permalink.